QINGDAO FLOURISH IND. CO., LTD. Located in Developent zone, Huangdao district, Qingdao, China. 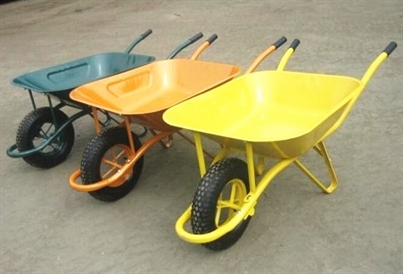 We specializes in designing, manufacturing and exporting wheelbarrow and its spare parts. Now our main products are: Wheelbarrow, Hand Trolley, Tool Cart, Rubber wheels, Inner tube, Tire, PU foam wheels, Rim, Castor, etc. The company has several large series that can satisfy different client's requirements. QINGDAO FLOURISH IND. CO., LTD.
Add: No. 123, Lushan road, Huangdao district, Qingdao, China.